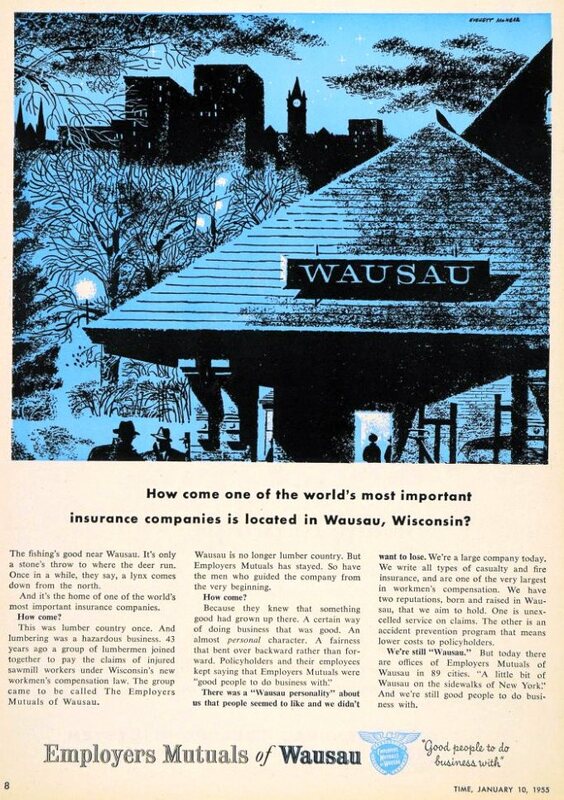 Wausau gained notoriety with early ads for Wausau Insurance (now part of Liberty Mutual) with tag lines like “the fishing’s good near Wausau” and “it’s only a stone's throw to where the deer run”. The campaign became the largest advertiser on a newly-created television series called 60 Minutes. Different from the big city insurers, the brand was symbolized by our historic train depot- a welcoming, frontier home. Every community talks about "quality of life" and caring citizens, Wausau is literally crafted around the sharing of risk and mutual success of the insurance industry, living their motto of “good people to do business with”. Wausau is the principal city and transportation hub of Northern and Central Wisconsin and the gateway to Wisconsin’s Northwoods. Wausau anchors a growing combined metropolitan statistical area of over 308,000 people. Our expanding businesses remain strong with nationally — and globally — recognized firms in diverse fields including: building materials, advanced manufacturing, healthcare, information technology and insurance. Wausau’s recently expanded Business Campus now includes over 1,000 acres of commercial and industrial properties and thousands of employees. It is also home to our Entrepreneurial and Education Center (EEC) incubator with over 30 active tenants. Wausau is the physical, economic, social and cultural heart of Northern and Central Wisconsin. Wausau is home to the largest hospital, largest performing arts theater, and largest public events in nearly 100 miles. Our thriving Wausau River District is alive with local and national retail, entertainment and major offices surrounding our landmark “400 Block” public square. Our revitalized urban waterfront along the Wisconsin River, aptly named “Riverlife”, encompasses mixed use entertainment, office and residential development along an extensive trail and parkland system. Wausau is one of the state's highest grossing areas for tourism, boasting all-season recreational opportunities that include Wisconsin's largest ski mountain at Granite Peak, one of the nation's premiere curling facilities, outstanding mountain and snow bike trails, an internationally-recognized whitewater kayaking course and serves as host city to the state's olympic-style Badger State Games. Annually millions of visitors enjoy all that Wausau has to offer. 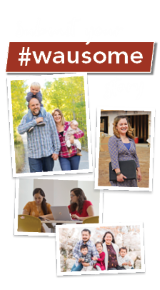 Wausau is proud of a long track record of public-private partnerships for development which includes many successful Tax Increment Financing (TIF) supported projects, support for business incubation and entrepreneurship, and development programs like our Live It Up Wausau homesteading program which provides no interest loans for local employees to purchase homes. The City along with our business leaders and local foundations are committed to quality economic development and proactive redevelopment as partners. 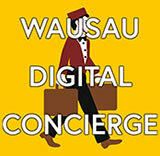 We are pleased to welcome you Home to Wausau. Wausau is pleased to directly support over 100 local businesses. Interested in a property or have a project idea? Contact Us! Wausau welcomes your investment. We have a full array of business programs to support you. Learn More! The Wausau Business Campus has prime land available for sale. Contact Us! Wausau is proud of a long history of public-private partnerships for development. Learn More!